There's gonna be some informal language today since I'd like you to take a look at one of the most famous New Year resolutions made by Bridget Jones herself. 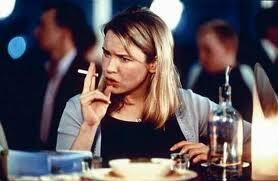 The resolutions come from the first chapter of Helen Fielding's "Bridget Jones's Diary". 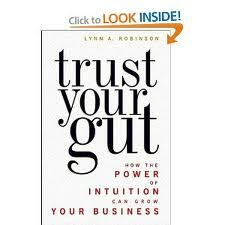 Although the book is not serious literature and is a far cry from artistic, sophisticated or elaborate works of art, it is definitely worth reading if only because of the lively, honest and extremely funny language employed there. If you are looking for an easy-reading book to practice your English this is a must-have! Take a look at Bridget's resolutions, read thoroughly and if necessary- look up the expressions in bold. Next time I'll post a vocabulary exercise, so that you can check if you have comprehended everything well. Allow in-tray rage out of control. Fall for any of the following: alcoholics, workaholics, commitment phobics, people with girlfriends or wives, misogynists, megalomaniacs, chauvinists, emotional fuckwits or freeloaders, perverts. Stop smoking. Drink no more than fourteen alcohol units a week. Reduce circumference of thighs by 3 inches1 (i.e. 11⁄2 inches each), using anti-cellulite diet. Purge flat of all extraneous matter. Save up money in form of savings. Poss start pension also. -Be more confident. Be more assertive. Make better use of time. Give proportion of earnings to charity. Be kinder and help others more. Get up straight away when wake up in mornings. Go to gym three times a week not merely to buy sandwich. Put photographs in photograph albums. Make up a compilation ‘mood’ tapes so can have tapes ready with all favourite romantic/dancing/rousing/feminist etc. tracks assembled instead of turning into drink-sodden DJ-style person with tapes scattered all over the floor. Do opisywania wydarzeń lub sytuacji, które często dzieją się regularnie i ich (zawsze takich samych) rezultatów. Nierzadko są to ogólne prawdy lub zależności, które są zawsze prawdziwe. I can’t sleep at night. If/When you press this key, the game starts. If you can read this, you're driving too close to me! Prawns can be risky to eat if they haven't been kept in the right temperature. When she's travelling on business, she always phones me every day. Sue got a lot more done if she was working from home. When they went to the movies, they always sat at the back. 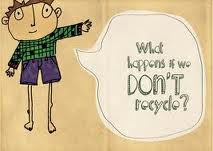 Check the eggs first, and if they stink, throw them away immediately! One of my friends has said that Americans 'go big' at Christmas time. 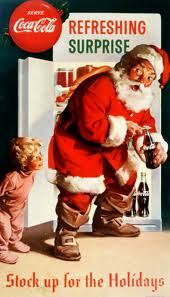 That's why today we're gonna have a closer look at the history of Xmas celebrations in America. The word CHRISTMAS comes from Old English Crīstesmæsse, meaning "Christ's Mass". Christmas is also called Nativity, Yule or Xmas. 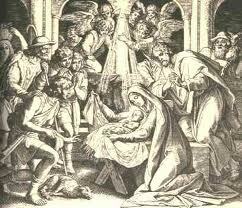 It is an annual commemoration (corocznym upamiętnieniem) of the birth of Jesus Christ generaly celebrated on December 25th . December 24th is Christmas Eve (Wigilia Bożego Narodzenia) and although in Poland it is probably one of the most important holidays, or evenings, in Anglo-Saxon countries it is of less importance (ma mniejszą wagę). The pilgrims (pielgrzymi) who came to America in 1620 were very orthodox in their Puritan beliefs (purytańskie wierzenia), which meant not celebrating Christmas and therefore (zatem) it wasn't a holiday in early America. The Puritans made it illegal to mention (wspominać) St. Nicolas' name. People were not allowed to (nie było im wolno) exchange gifts (wymieniać się podarkami) or sing Christmas carols (kolędy bożonarodzeniowe). 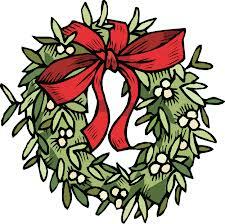 Between 1659 and 1681, the celebration of Christmas was actually outlawed (zakazana) in Boston. If you had showed the Christmas spirit (duch świąt Bożego Narodzenia) then, you would definitely have been fined (ukarany grzywną) for it. By contrast, it was reported that Christmas was enjoyed by all in the Jamestown settlement (osada). In the 17th century Dutch immigrants brought with them the legend of Sinter Klaas and in 1773 Santa first appeared in the media as St. A Claus. It was also the Dutch who brought the custom (zwyczaj) of gift-giving to America. After the American Revolution, English customs fell out of favour (wypadły z łask), including (włączając) Christmas. Christmas wasn't declared a federal holiday until June 26th , 1870. Americans began to embrace (przyjmować; zostawać zwolennikiem) Christmas only in the 19th century. The beginning of century witnessed (było świadkiem) a period of turmoil (zgiełk; wrzawa) and conflict. During the time, the unemployment (bezrobocie) was high and during Christmas people often protested and rioted (buntowali się). In 1828, the New York city council instituted the city's first police force (służby policyjne) in response to (w odpowiedzi na) a Christmas riot. This in turn (w zamian) motivated certain members of the upper classes to begin to change the way Christmas was celebrated. In 1819, a best-selling author Washington Irving wrote "The Sketchbook of George Crayon", a series of stories about Christmas in an English manor house (rezydencja; dwór). The sketches (szkice) feature a squire (dziedzic; ziemianin) who invited the peasants (chłopi) into his home for Christmas. In contrast to what was happening in American society at that time, the two groups mingled (mieszać się) easily. 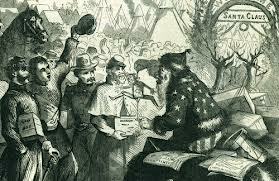 Moreover, in "A History of New York" Irving included Saint Nicolas. In Irving's mind, Christmas should be a peaceful (spokojne), warm-hearted (serdeczne) holiday bringing groups together across lines of social status. Many historians say that Irving's account (sprawozdanie) of Christmas celebrations actually invented tradition and customs. 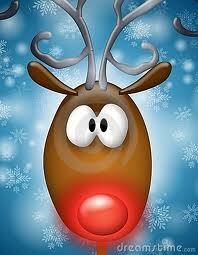 In 1822 dentist Clement Clarke Moore wrote a poem which later became known as "The Night Before Christmas". He portrayed Santa as an elf with sleigh (sanie) equipped with (wyposażony w) eight reindeer (renifery): Blitzem, Comet, Cupid, Dancer, Dasher, Donder, Prancer and Vixen. In the times before the Civil War (wojna domowa) the North and the South were divided (podzielone) on the issue (kwestia) of Christmas, as well as on the issue of slavery (niewolnictwo). Many Northerners saw sin (grzech) in the celebration of Christmas. It was more appropriate for them to celebrate Thanksgiving (święto Dziękczynienia). In the South, on the other hand, Christmas was an important holiday. The first three states to make Christmas a legal holiday were in the South: Alabama in 1836, Louisiana and Arkansas in 1938. What's interesting Abraham Lincoln used the image of Santa with some Union soldiers (żołnierze Unii) to demoralize the Confederate army (armia konfederacka), which seems to be an early example of psychological warfare (wojna psychologiczna). After the Civil War, Christmas traditions spread (rozprzestrzeniły się) across the country. Sunday schools encouraged (zachęcać) the celebration of Christmas. Women's magazines were also very important in suggesting ways to decorate for the holidays, as well as how to make these decorations. By the last quarter (ćwierć) of the 19th century, America eagerly (chętnie) decorated trees, caroled (śpiewali kolędy), baked and shopped for the Christmas season. Since that time, materialism, media, advertising and mass marketing has made Christmas what it is today. Today's traditions have been invented by blending (łączyć; mieszać się) together customs from many different countries. 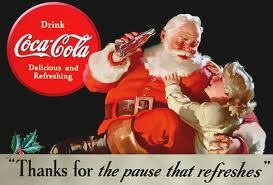 The famous image of Santa present in Coca-Cola ads (reklamy) was invented in 1931 by Haddon Sundblom. The company holds the trademark (znak handlowy) for this image and uses it in the ads to the present day. In 1939 Robert L. May created a poem about Rudolph, the ninth reindeer which in 1949 became the protagonist (główny/tytułowy bohater) in one of the most popular Christmas songs ever made (the song was written by Johnny Marks, I wrote about this song in the previous post). Christmas stockings are hung near the chimney on Christmas Eve for Santa to fill it with presents for children. The items that are believed to be left by Santa in stockings are called stocking stuffers. 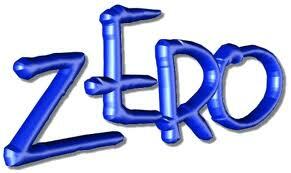 It is believed that a child who misbehaved during the year will not get a present in their stocking. 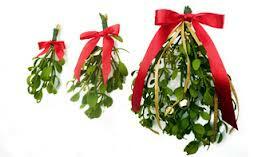 Mistletoe was used by Druid priests 200 years before the birth of Christ in their winter celebrations. The ancient Celts believed mistletoe to have healing powers and used it as an antidote for poison, infertility and to ward off evil spirits. Scandinavians associated the plant with Frigga, the goddess of love, and it may be from this that we derive the custom of kissing under the mistletoe. 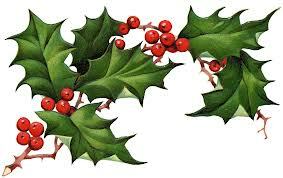 Holly, which was believed to have magical powers, was hung on the doors to drive evil away. Greenery, on the other hand, was brought indoors to freshen the air during the long winter time. In 1828 a U.S. ambassador to Mexico Joel R. Poinsett brought the plant to America. One legend has it that a young Mexican boy, on his way to visit the village Nativity scene, realized he had no gift for the Christ. He gathered green branches from along the road and brought them to the church. When he left the leaves at the manger, a beautiful star-shaped flower appeared on each branch. The Candy Cane remains a favourite holiday treat and decoration. It's roots go back to the times when Europeans began using Christmas trees and one of the things they used to decorate the trees with were, among others, candy canes. 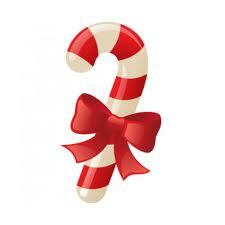 Candy canes have also been given to children as gifts for Christmas till the present day. 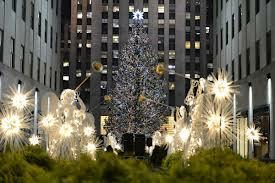 The Rockefeller Center Christmas Tree is a large Christmas tree placed annually in Rockefeller Center in mid-town Manhattan in New York. The tree is erected and lit in late November or early December. ABC News: Barbara Walters sits down with President Obama and the First Lady. 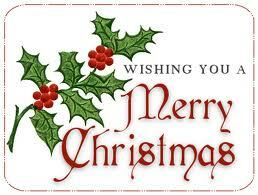 May the gifts of peace and joy be yours at Christmas time and happiness dwell around you wherever you go! Luke, Chapter Two And it came to pass in those days, that there went out a decree from Caesar Augustus, that all the world should be taxed. (And this taxing was first made when Cyrenius was governor of Syria.) And all went to be taxed, every one into his own city. And Joseph also went up from Galilee, out of the city of Nazareth, into Judaea, unto the city of David, which is called Bethlehem; (because he was of the house and lineage of David:) To be taxed with Mary his espoused wife, being great with child. And so it was, that, while they were there, the days were accomplished that she should be delivered. And she brought forth her firstborn son, and wrapped him in swaddling clothes, and laid him in a manger; because there was no room for them in the inn. Z racji na to, że zbliżają się święta, na które czekają zawsze wszyscy, ale w szczególności ci najmłodsi, dzisiaj będzie trochę bożonarodzeniowych piosenek w wydaniu właśnie dla nich. Wziąć udział w żadnej z reniferowych gier. Czy nie zechciałbyś dziś przewodzić moim saniom ? czyli Czy Ktokolwiek Widział Mikołaja??? GUT /gʌt/ to przede wszystkim JELITO, ale jest to nieco nieformalne określenie, termin bardziej medyczny to INTESTINE. 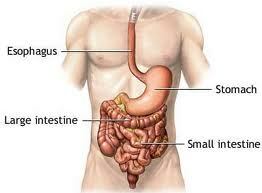 Meat stays in the gut longer than vegetable matter. He got a knife in the guts. He had a pain in his guts. He took the guts out of the old clock. That's basically the guts of Darwin's theory. The guts of his speech was simply save energy. w tym wypadku GUTS oznacza SEDNO lub SPROWADZANIE SIĘ DO CZEGOŚ. 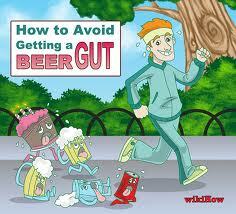 He's got a huge beer gut. We need a president with guts. It takes a lot of guts to admit to so many people that you've made a mistake. Z drugiej strony można być też GUTLESS, czyli tchórzem. My gut reaction was that he was lying. She gutted the fish and cut off their heads. A fire gutted the bookshop last week. I hate his guts after he lied to me. 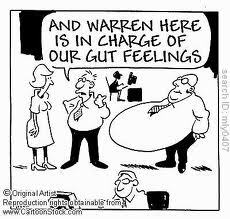 I'm working my guts out to make ends meet and you are just sitting doing nothing. 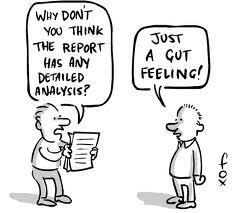 Stop screaming your guts out! 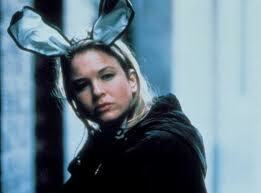 I can hear you.